With STEM (Science, Technology, Engineering, and Mathematics) occupations increasingly taking center stage in the job market of tomorrow, Harlingen CISD is ensuring its students have access to quality STEM learning opportunities. For the 2018-2019 school year, the district will launch a new STEM2 Preparatory Academy that aims to engage middle-school students in the areas of Science, Technology, Engineering, Math, and Medicine. Over the years, generating student interest in science, technology, engineering, and math has emerged as a national priority for both education and the economy as the demand for STEM-skilled workers has grown. According to a STEM Jobs: 2017 Update by the U.S. Department of Commerce, employment in STEM occupations grew much faster than jobs in non-STEM trades over the last decade (24.4 percent versus 4.0 percent, respectively), and STEM occupations are projected to increase by 8.9 percent from 2014 to 2024. The school’s instruction will feature a strong academic core, a dynamic and innovative culture as well as a focus on character and leadership development. The STEM2 campus will be located at 1920 E. Washington Ave. – formerly St. Paul Academy – and will open with 60 sixth graders and 60 seventh graders in its inaugural year. It will expand to eighth grade in its second year, which will put the total enrollment at around 180-200 students. Innovative schools are nothing new to HCISD. Since the creation of Early College High School in 2007, the district has been adding to its diverse catalog of choices and opportunities through specialty campuses, classrooms, and unique learning experiences. The district’s 2014 strategic plan, Transforming Learning for Global Achievement, reinforced that transformational trend. ECHS and Harlingen School of Health Professions are currently part of HCISD’s innovative school offerings. The addition of STEM2, Lee Means Elementary Fine Arts Academy, and a Virtual Academy in the 2018-2019 school year will bring that total to five. 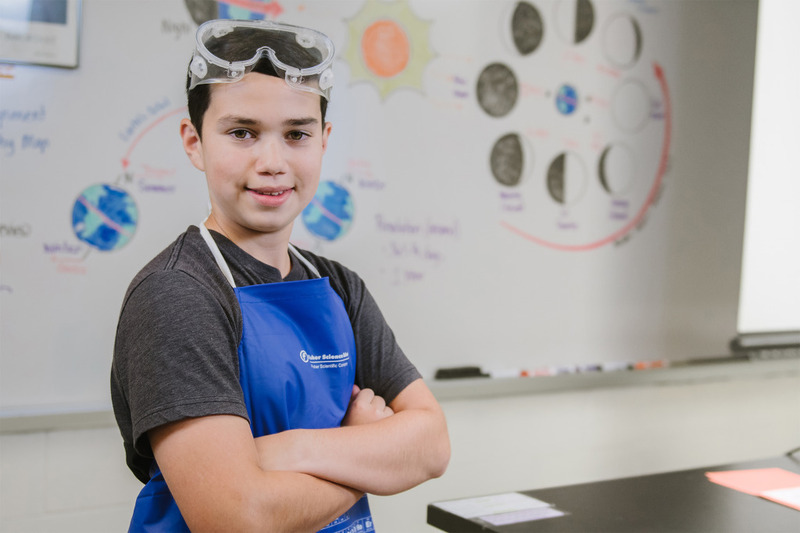 After completing their studies at STEM2, students will have the opportunity to continue their chosen pathways at HSHP in one of six medical schools of study, ECHS in pre-engineering, or Dr. Abraham P. Cano Freshman Academy in engineering or health science. The school will offer a unique schedule that, while still emphasizing the academic core, will provide STEM2 instruction at least two hours a day. All core academic courses will follow a Pre-AP (Advanced Placement) and GT (Gifted and Talented) format and will utilize Springboard, College Board’s official Pre-AP curriculum for Math and English. In addition, Math, English, Science, and Social Studies courses will have STEM2 instruction embedded. STEM2 instruction will center around Project Lead the Way, the nation’s premier STEM curriculum. The STEM2 Academy Design committee is considering implementing four courses for the first year. These include Design and Modeling, Automation and Robotics, Computer Science, and Medical Detectives – this will allow students to take two courses a semester for a total of four courses in one school year. From early childhood to high-school state qualifying programs, HCISD has been making great strides in expanding STEM opportunities for students. Beginning with the youngest learners, Bee-Bot, a programmable robot, allows Pre-K students to experience programming forty consecutive commands for this adorable bee to carry out. Students develop understanding skills related to cause and effect, directional language and early programming. At the start of 2018 Harlingen CISD partnered with Club Code UTRGV to bring new coding opportunities to elementary students. Eight campuses are piloting the program across the district to equip third, fourth, and fifth-graders with an in-depth understanding of coding and programming languages. Using the block coding program Scratch, students are creating their own interactive stories, games, and animations. In 2016, HCISD implemented a district-wide Robotics program across all elementary, middle, and high school campuses. Harlingen CISD is a certified Project Lead the Way district with courses available for students at Harlingen High School, Harlingen High School South, Dr. Abraham P. Cano Freshman Academy, and all five HCISD middle schools. Project Lead the Way is a nonprofit organization that provides engineering curriculum and teacher training to prepare students for the global economy by delivering K-12 STEM programs to schools in all 50 states. The program offers a problem-based curriculum combined with a teacher professional development.